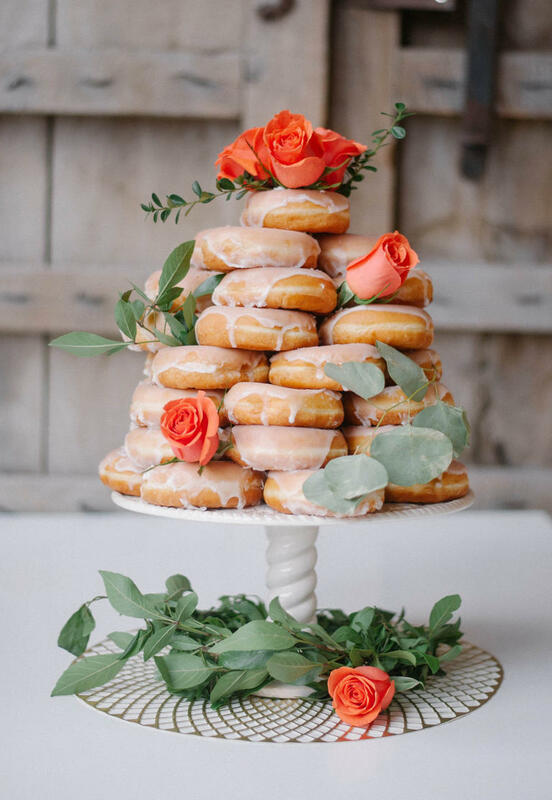 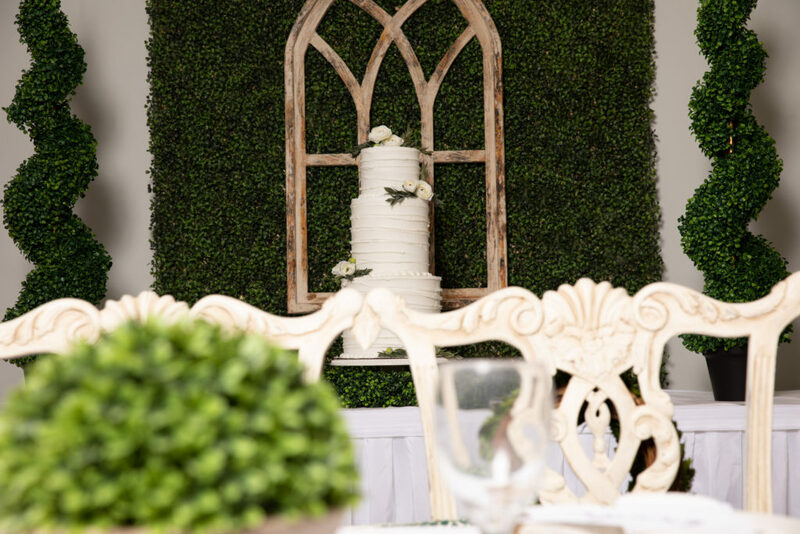 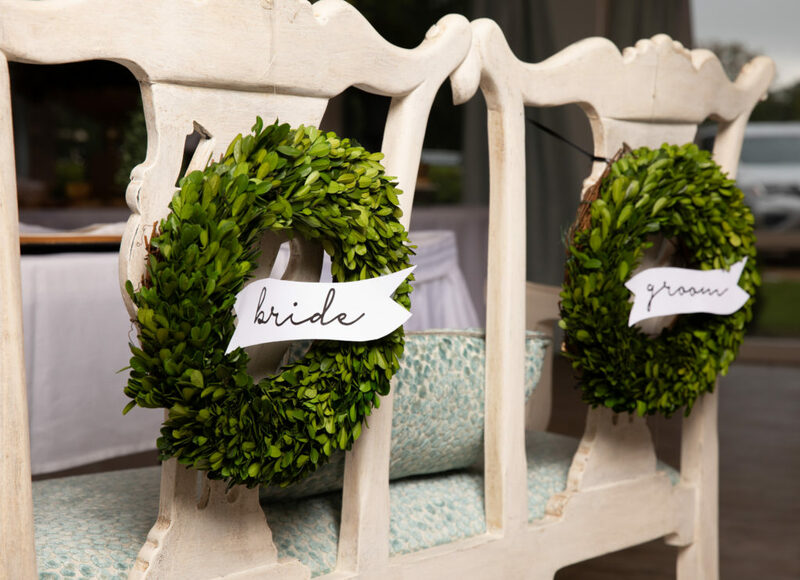 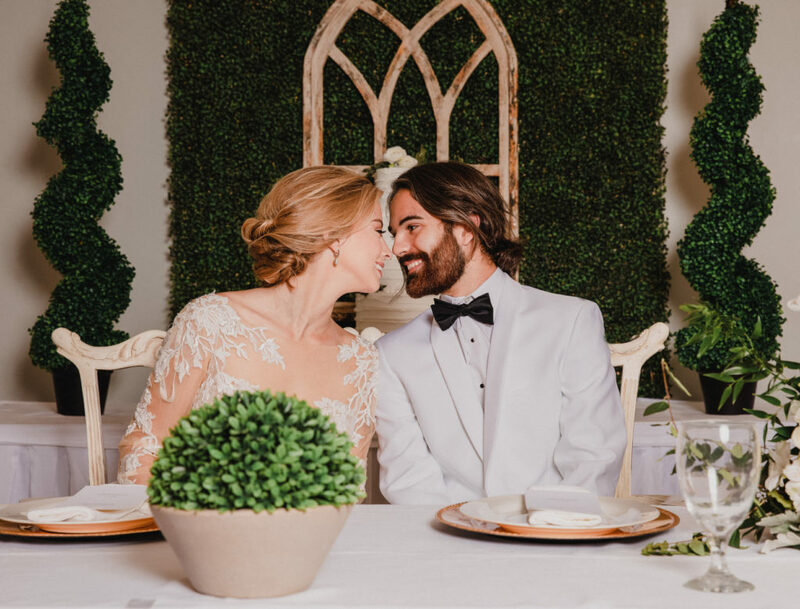 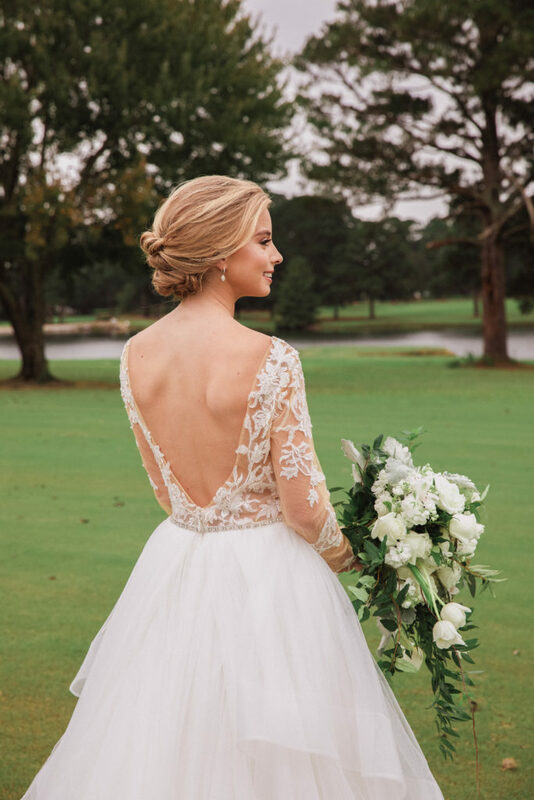 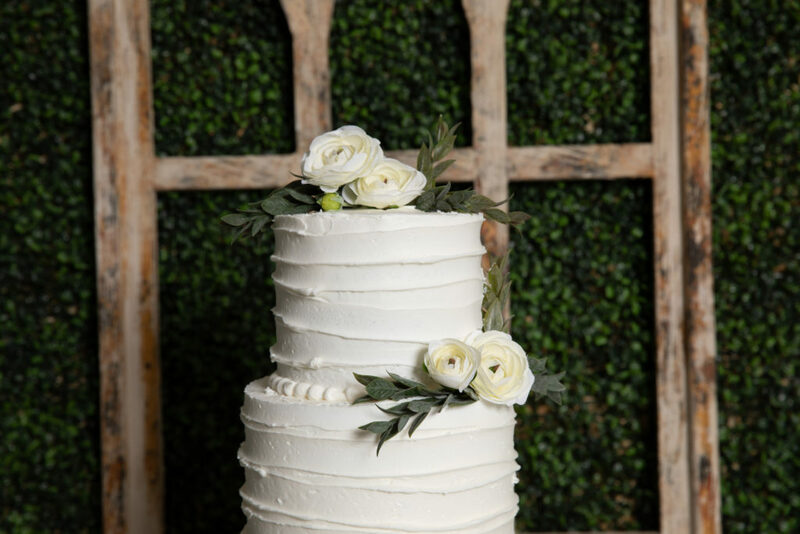 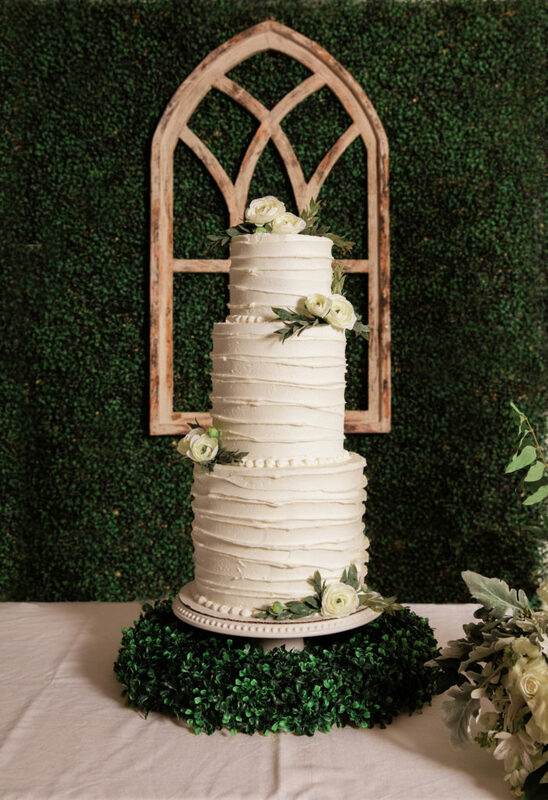 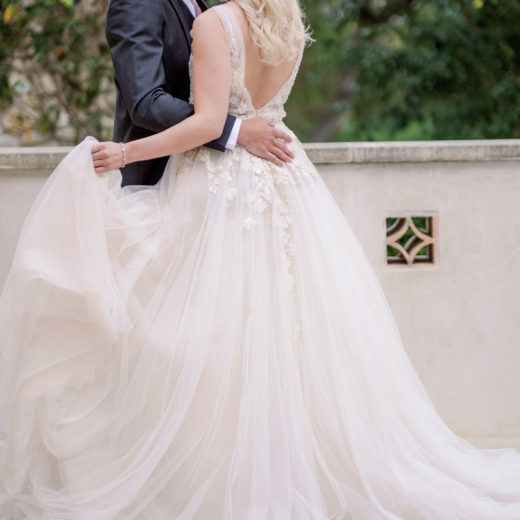 If you’re a bride who dreams of a classic, country club wedding, then you’re going to love this sweet but elegant styled shoot at the Country Club of Canton where garden styling embracing the boxwood trend and the rich greens of country clubs across the south create a traditional, southern afternoon wedding. 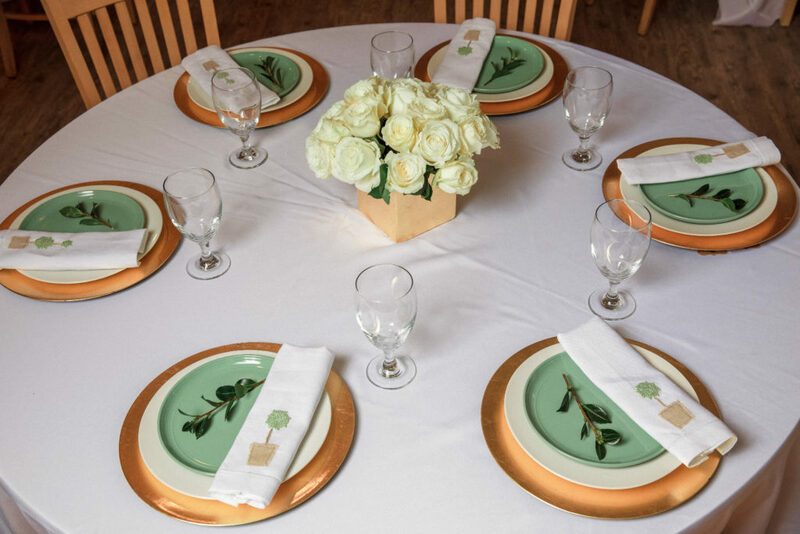 Simple boxwoods in antique gold urns and oversize vases create drama on a budget. 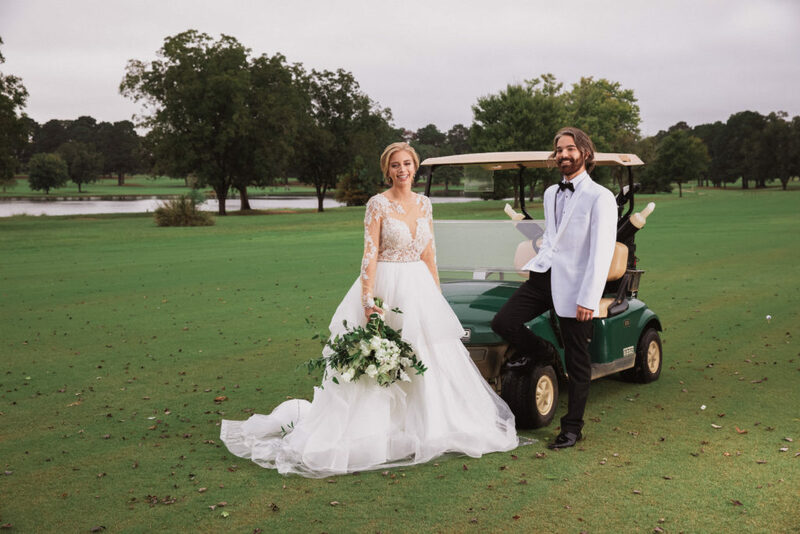 The beautiful venue, the Country Club of Canton, sits just minutes north of Jackson, in historic Canton, Mississippi and offers a classic and traditional event space with both indoor and outdoor options for a variety of events. 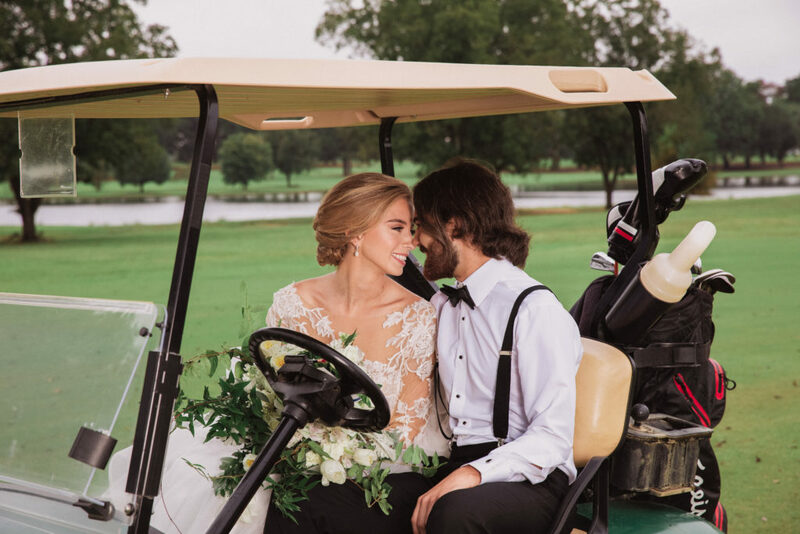 With gorgeous landscapes and a 22-acre lake, this venue creates the perfect atmosphere for weddings of any size, style, and budget. 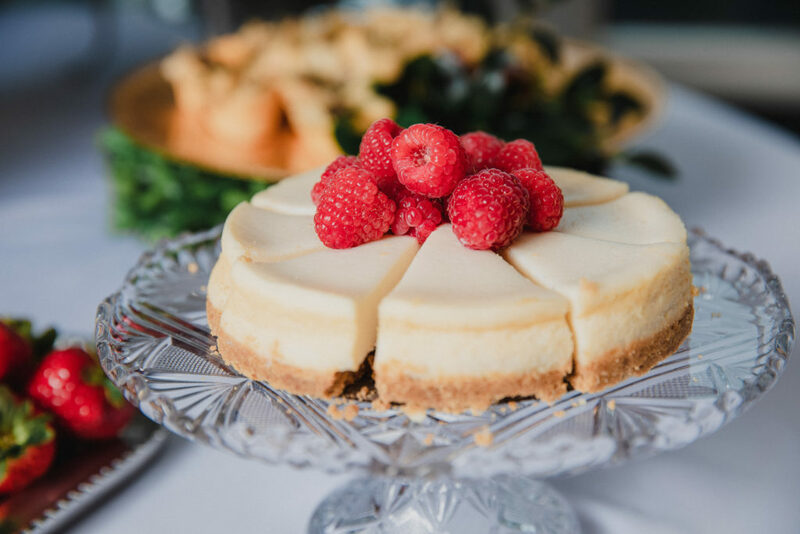 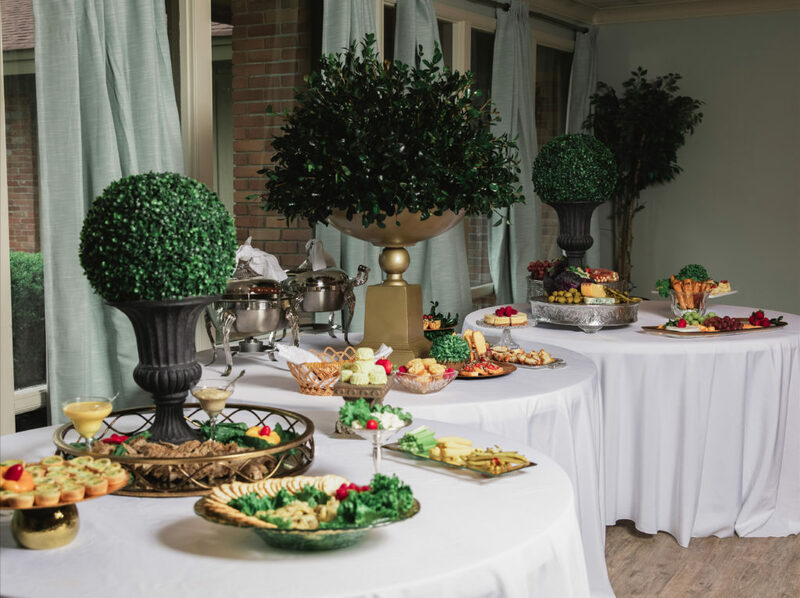 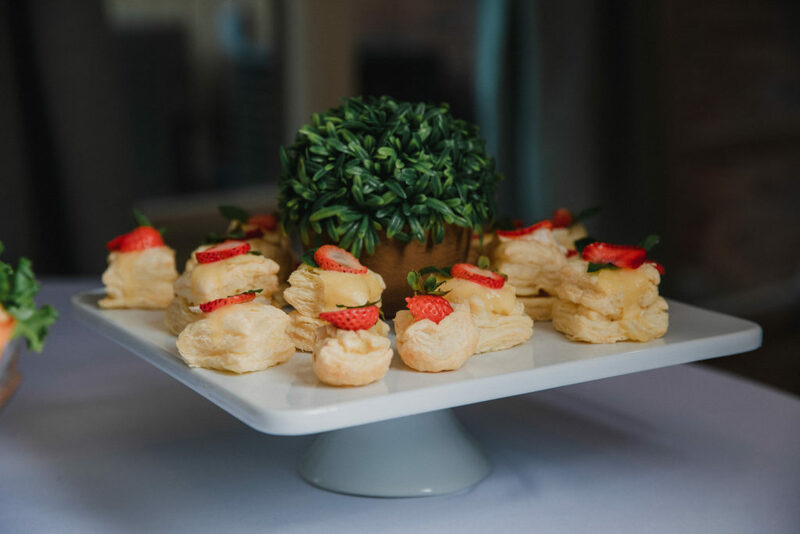 The team at Country Club of Canton wants to provide you with classic southern hospitality, help you plan your event, and ensure that you make unforgettable memories at their venue. 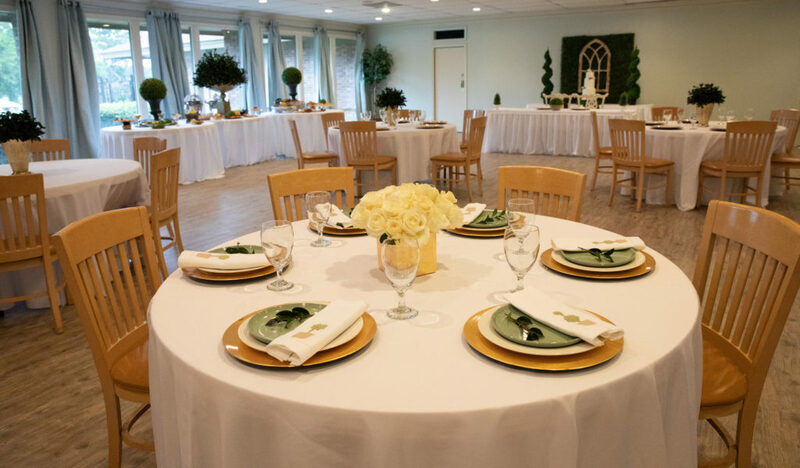 Country Club of Canton has wonderful indoor and outdoor spaces with gorgeous scenic views. 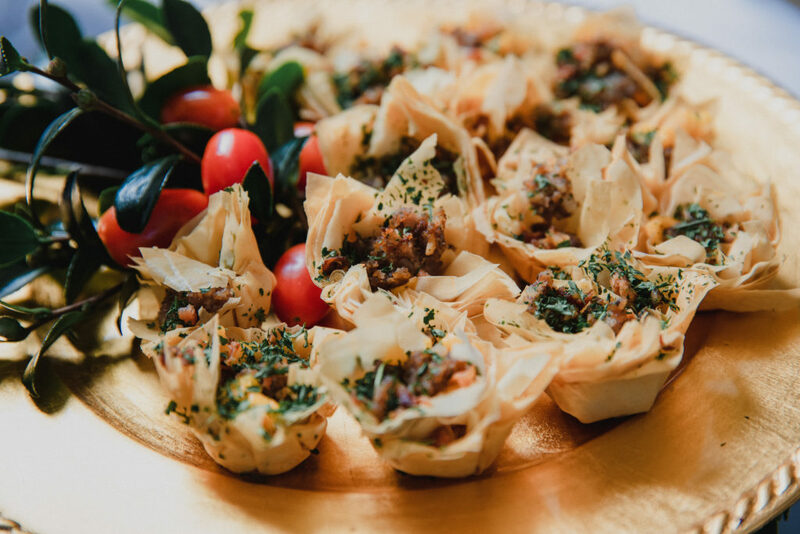 The maximum capacity is 300 people at this venue which is a great option whether you are looking to host a large, extravagant event, or a small and intimate one. 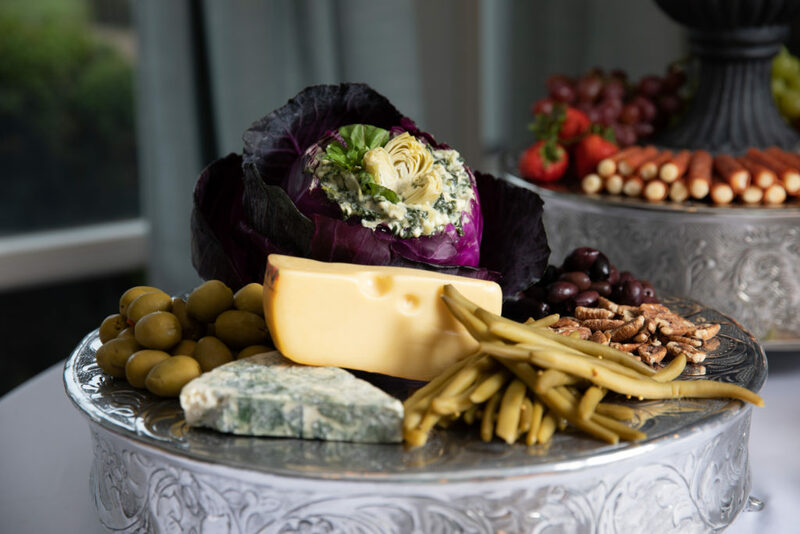 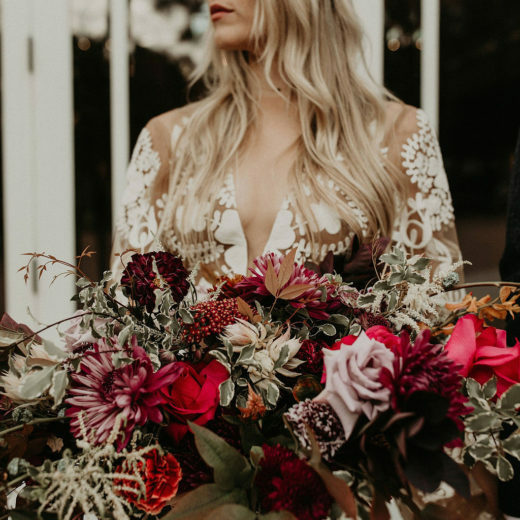 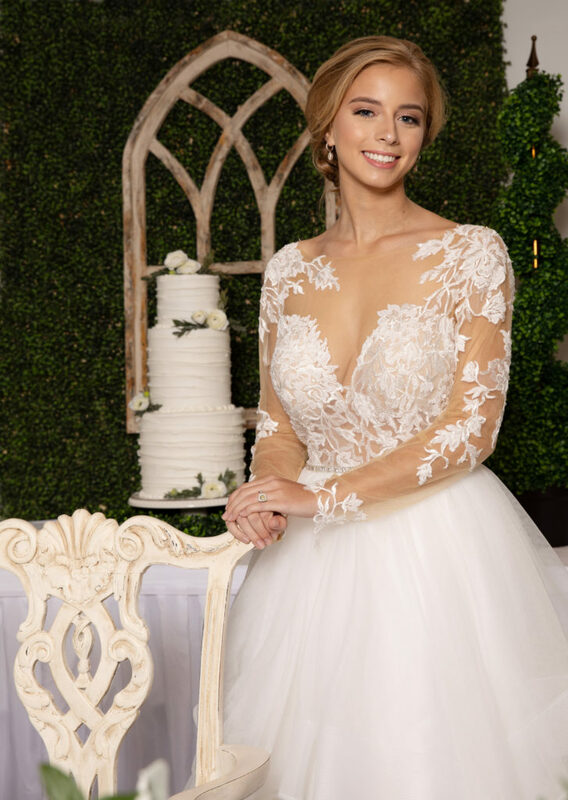 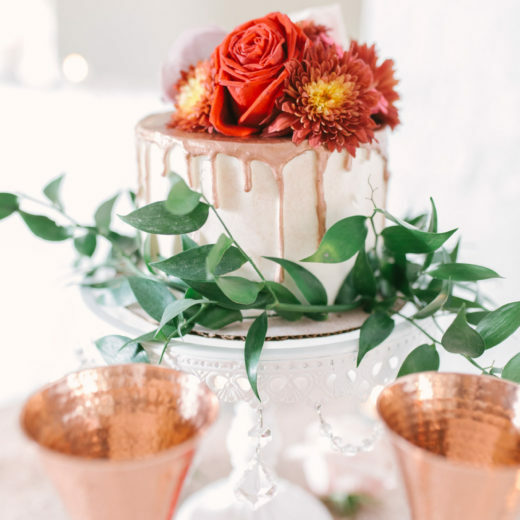 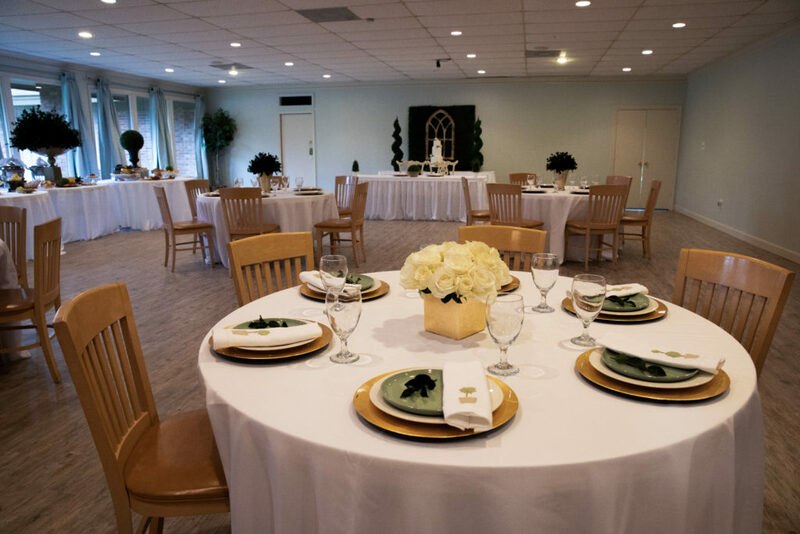 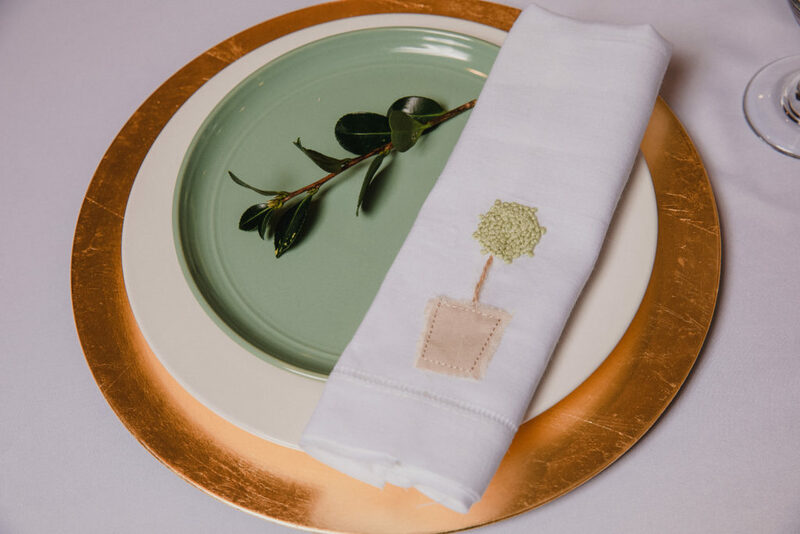 The venue also has event planning, floral design, catering and bar options as well as an extensive list of tables, chairs, linens, place settings, food service, and decor rentals. 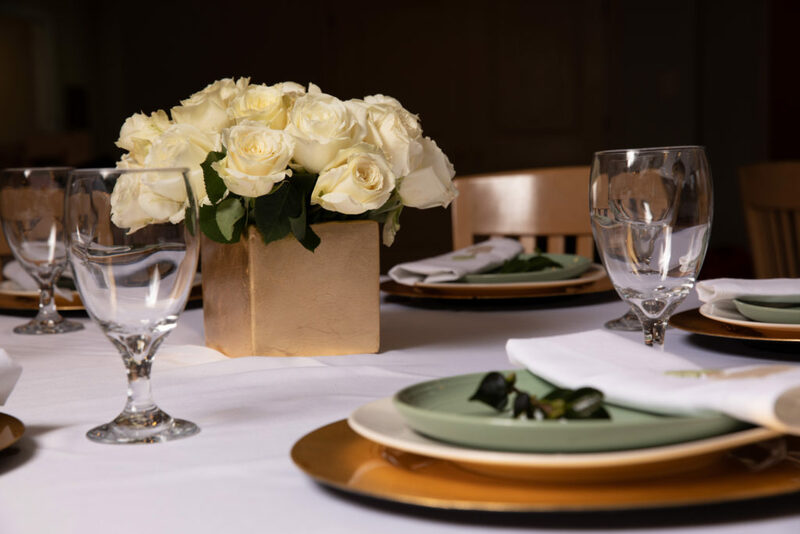 The club staff can provide as many services as you need for your big day, or you can bring in your own vendors to help make your day special. 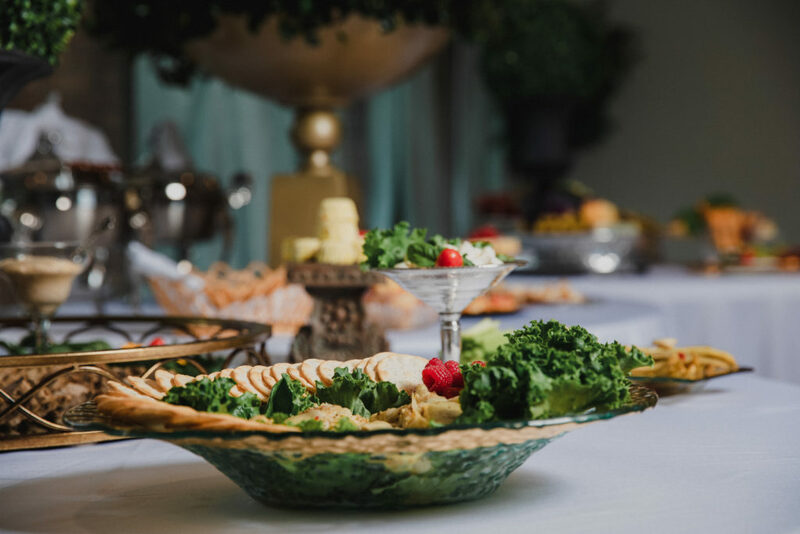 This venue has exceptional in-house bar and catering services available for your event, but also allows outside vendors of your choosing. 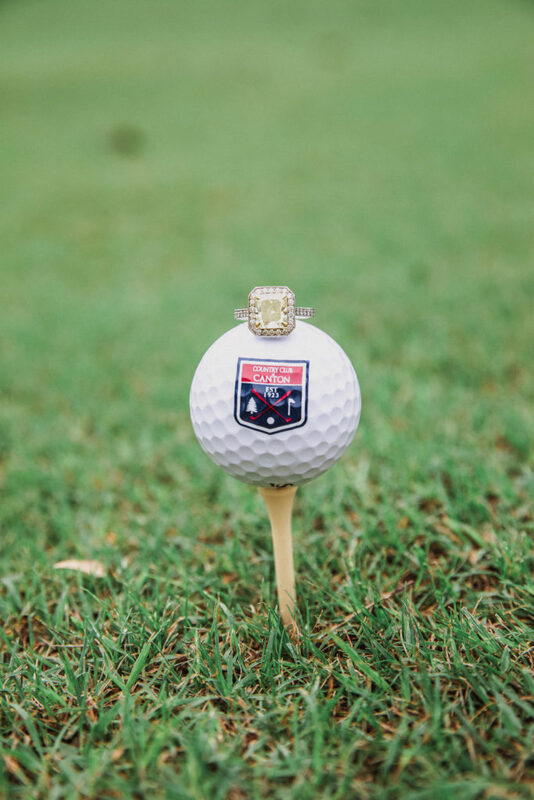 The club staff can assist with the setup and cleanup, in order to help make your day run smoothly. 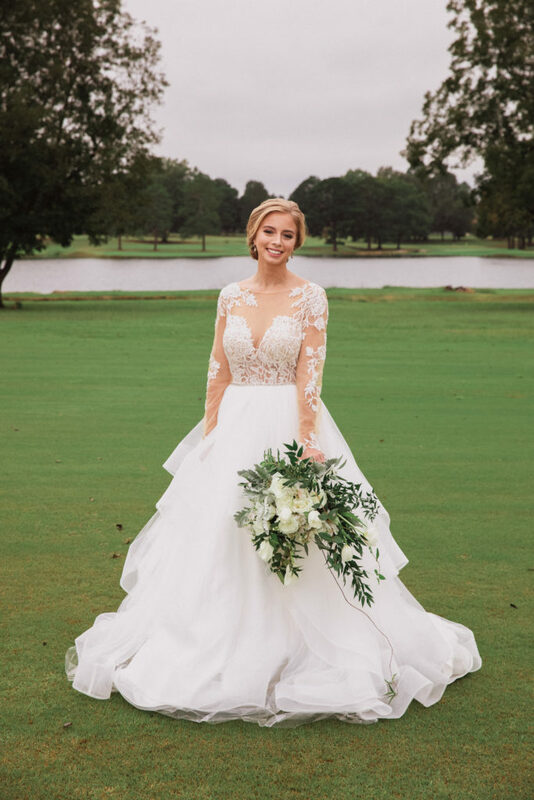 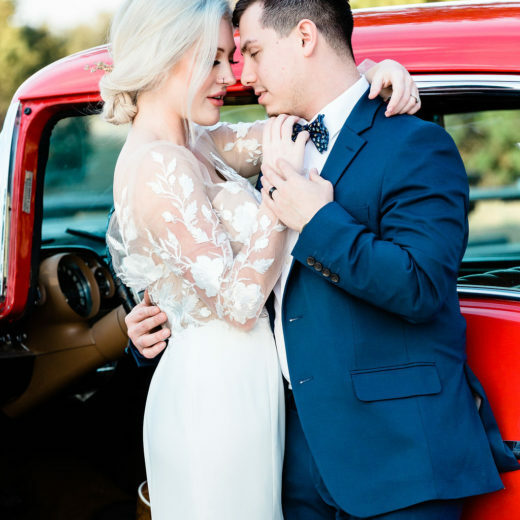 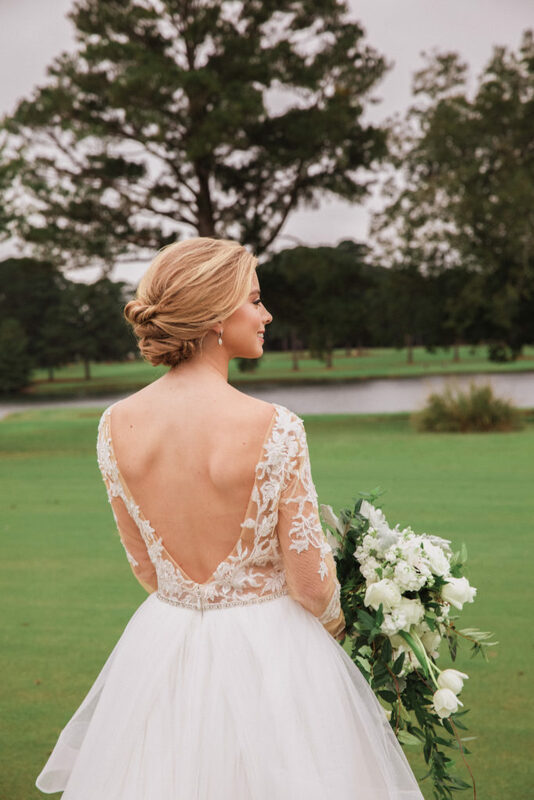 Outdoor spaces are available for events, and the picturesque greens and beautiful golf course lake make the perfect backdrop for formal portraits. 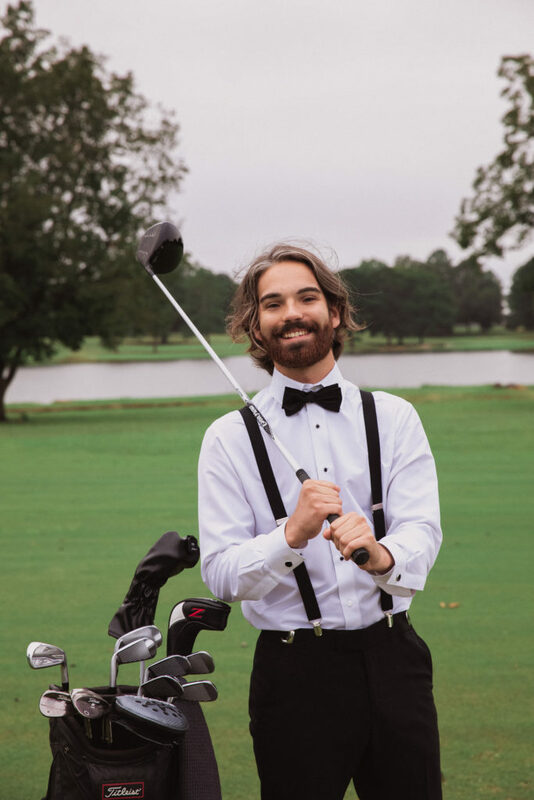 The Country Cub of Canton offers special golf outing packages for the groom and his groomsmen. 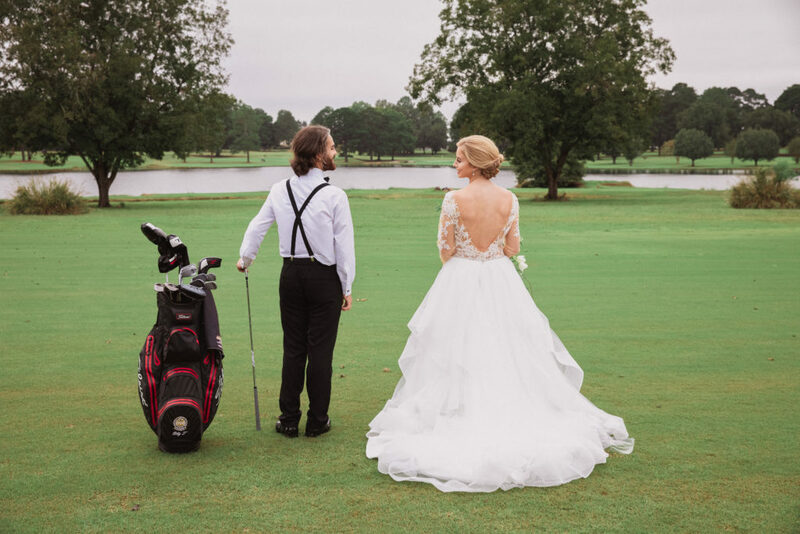 Golf packages can be purchased individually, or the Club offers a free golf package with 18 holes for up to eight people including green fees, cart, lunch and beverages with every booked wedding. 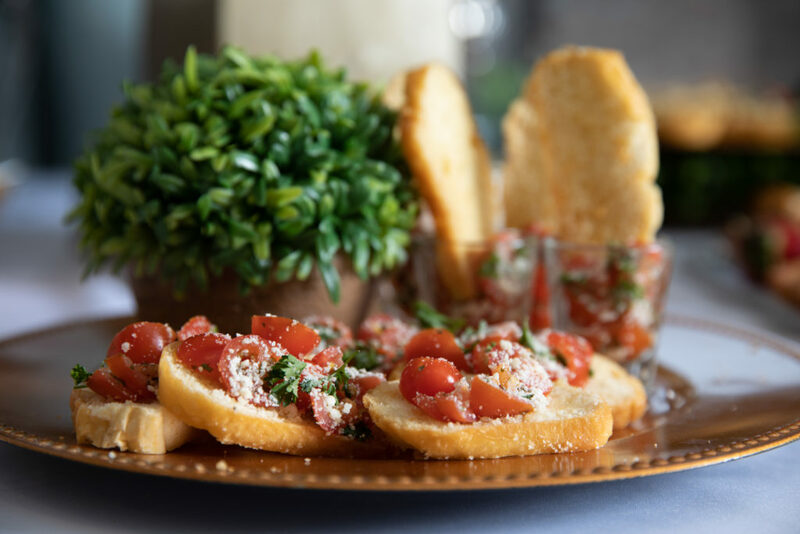 Tantalizing Tuesday: Brunch is Always a Good Idea!